Fried chicken and oysters served in a down home southern type of restaurant just steps from the ocean...yeah, that's my kind of perfect. 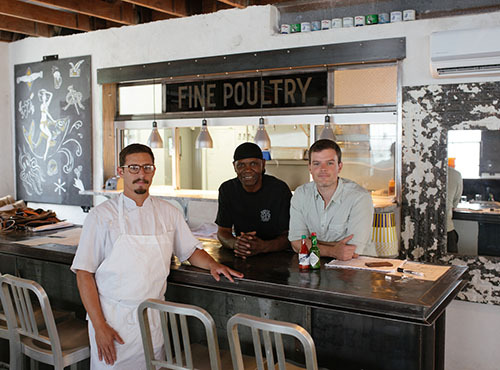 At the newly opened Leon's Fine Poultry & Oysters Shop in Charleston, South Carolina, you'll find a cozy local spot with food so tasty, you'll be licking your fingers clean- which is how co-owner Brooks Reitz (of Jack Rudy Cocktail Co. fame) likes it. 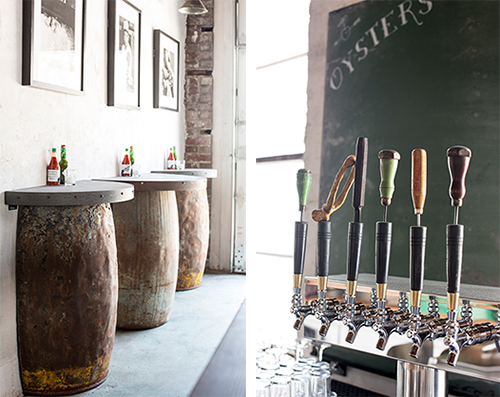 Brooks, "This is a place where you can down a dozen oysters and a Budweiser at the bar and be on your way." As far as the decor, nothing was purchased ready-made. Brooks, "We either had something made or found something." 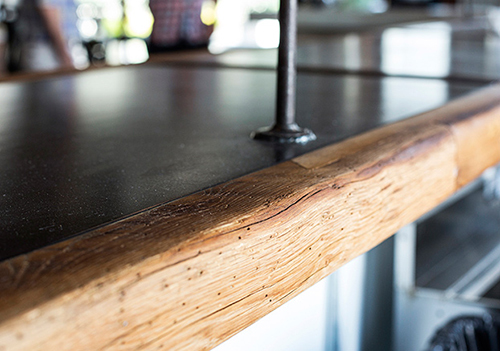 You'll find 14 taps at Leon's, 12 for beer, 2 for wine and the gorgeous bar was handcrafted by local artisan, Cole Flodin. ...and then so much more. 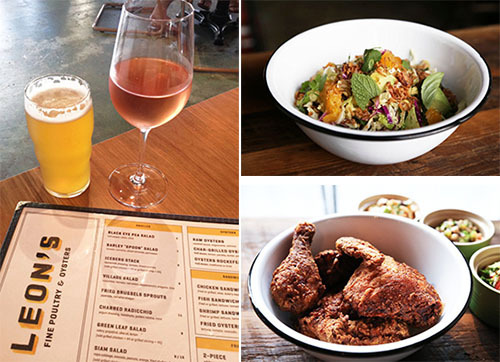 Charleston native, chef Ari Kolender (via The Ordinary) has perfected a menu that makes me salivate from my couch as I read it online. Sides and snacks include hush puppies, fried clam wraps, charred radicchio and old school scalloped potatoes. Then for dessert, vanilla soft serve ice cream. 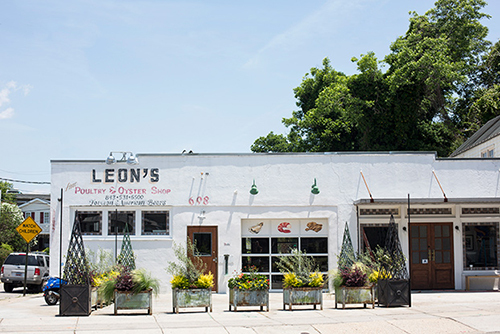 Leon's is owned by Brooks and veteran restauranteur, Tim Mink. The team they've assembled certainly appears like a restaurant's kind of perfect. Learn more, here.